While each Draft Kit already includes blank labels for each position, some people want to have extras. Here you can add blank sheets of your choice to your order. You can order individual sheets, (You will have to add a new item for each color you want) or select complete label sets. 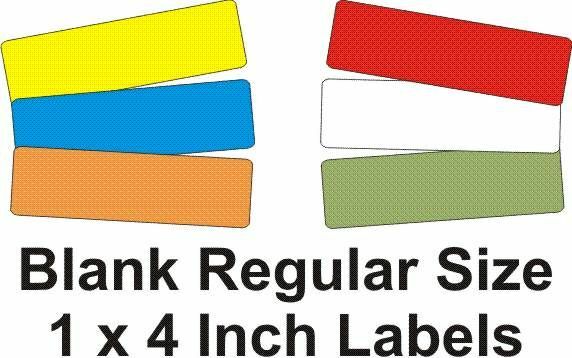 These blank label sheets are our 1x4 inch "Regular size" labels that come 20 per sheet and in the following colors: Yellow - QB, Blue - RB, White - RB, Orange - TE, Green - PK, Red - DEF, and Grey - IDP's, or any other position. Grey will not be included in any set. If you are going to use these labels for a different sport draft, you can also order a draft board using the link below.